New research has suggested that 52% of households have been plunged into fuel poverty as a result of crippling energy prices, with the research also revealing the lengths people are going to in order to keep warm. The survey carried out by Hillcrest Housing Association, which was open to the general public and covered all residency types, cast a bleak picture of the effects that increasing energy bills are having. Households spending more than 10% of their total income on energy bills are considered to be in fuel poverty, indicating a scenario where bills become more challenging and the ability to heat the home can be affected. Hillcrest’s survey revealed that 52% of surveyed households are considered to be in fuel poverty – and incredibly almost 1 in 10 households are spending over 25% of their income on energy bills. The survey also revealed the many alternative methods people are using to keep warm and avoid challenging bills. HEAT’s Euan Hird offering smart meter advice. A large number of respondents reported turning to wood burning stoves and even propane gas heaters. Others choose to wrap up warm, cuddle into partners or pets, use hot water bottles or even use a hair dryer periodically to warm up. In more worrying cases, respondents even reported staying out of the house for as long as possible – choosing to spend the day in shopping centres or supermarkets, while others head to bed early to escape the cold. For households with pre-pay meters, falling into emergency credit can also bring its own issues as well an increased risk of being cut off. The standing charge is a weekly fee applied to both pre-pay and billed meters of roughly £2 – £2.50. When in emergency credit, the standing charge will not come off but will build up in the background. This means that if you are in emergency credit for 4 weeks and build up a £10 standing charge debt, by topping up £20, you’d only get £10 on your meter, as the owed standing charge would be automatically paid off. Of the respondents surveyed who have a pre-pay meter in their home, a massive 83% said that they have had to go into emergency credit, while 12% are almost always in emergency credit, incurring additional debt. Critically, over three-quarters of those that completed the survey admitted that they worry about the cost of energy bills. Health issues can be caused by the stress, cold and dampness that come with struggling to keep your house warm. In one of the most alarming revelations from the survey, 35% of respondents said that struggling to heat their home or worrying about bills had caused them physical or mental health problems. Answering anonymously, one responded noted: “Worrying about bills causes me mental stress, especially because condensation in my home is affecting my children’s health”. To help combat these struggles, Hillcrest Energy Advice Team (HEAT) was established in 2013, and offers a dedicated support service to help Hillcrest tenants with a range of energy issues. These include liaising with energy companies on the behalf of tenants, giving advice on how to lower energy bills and offering HEAT’s successful emergency credit initiative for tenants who have been cut off from their energy supply or are at risk of being cut off. “In current-day Scotland, it’s unacceptable that some households are being forced to make this decision. 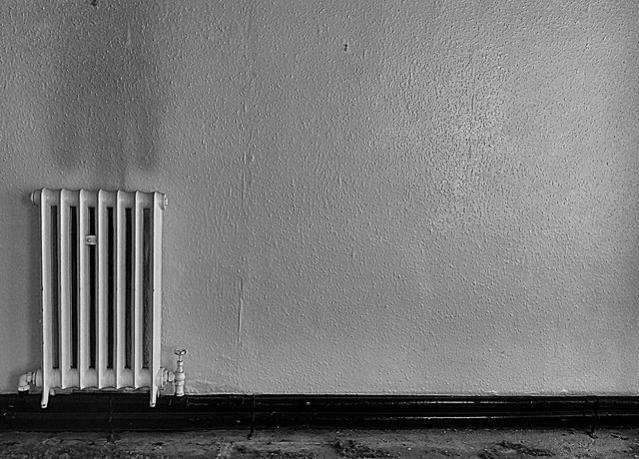 With our survey revealing the extent of homes gripped by fuel poverty, the lengths people are going to in order to try and keep warm and the number of health issues that are being caused, it presents a very concerning picture”. HEAT’s tireless work in helping people keep warm over winter has seen them help households 2268 times last year alone bringing financial gains in the form of saved money, emergency credit and debt relief for Hillcrest tenants to the value of £364,622. Support is also available for homeowners and private tenants through Dundee Energy Efficiency Advice Partnership (Deeap), who also offer a range of advice and support. Nationally, Scarf are Headquartered in Aberdeen but offer support to help combat fuel poverty throughout Scotland. If you are a Hillcrest tenant and would like to get in touch with HEAT, you can contact 0300 123 2640 or email customerservice@hillcrestha.org.uk. Alternatively, if you would like to get in touch with Deeap, you can phone 01382 434840 or email deeap@dundeecity.gov.uk. Scarf can be contact on 01224 213005 or by email at info@scarf.org.uk.